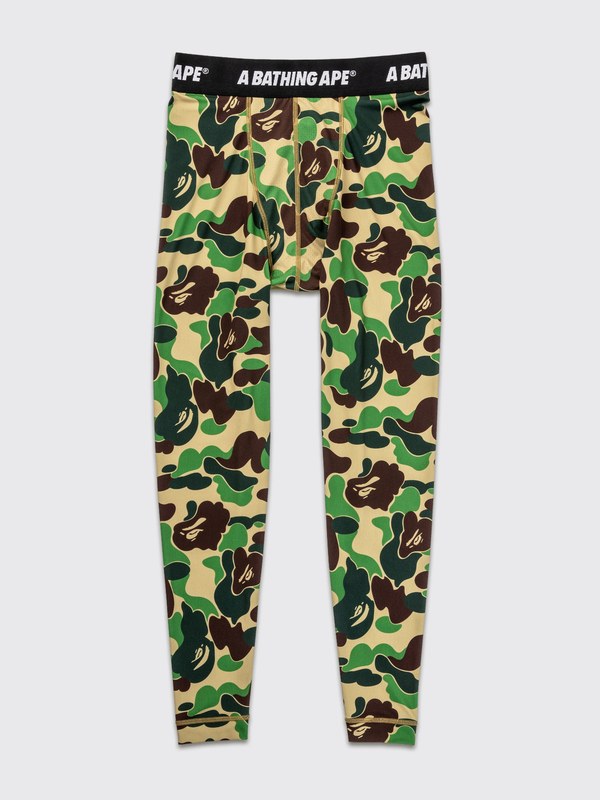 Tights from adidas by BAPE. 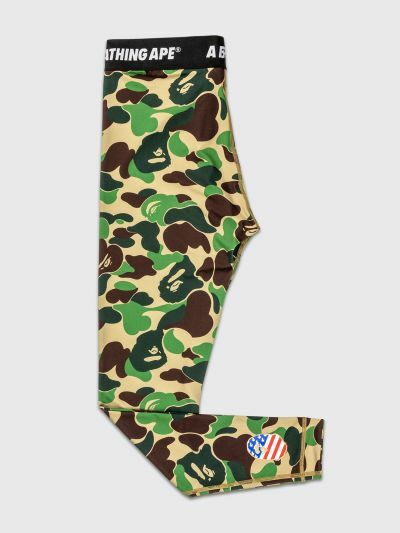 Made from a camo-printed jersey fabric with elastic BAPE branded waistband and BAPE logo at leg. Green, brown and black tights. Mix fabric. 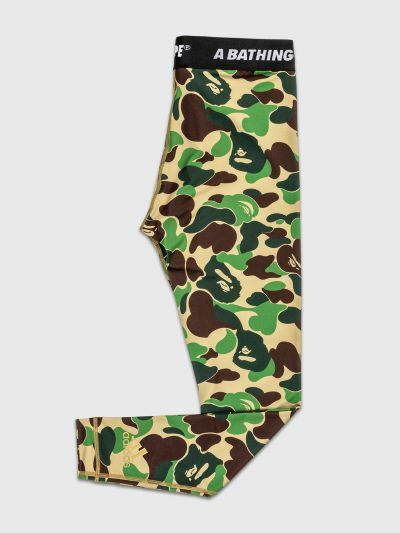 Training tights. Tight fit. True to size.